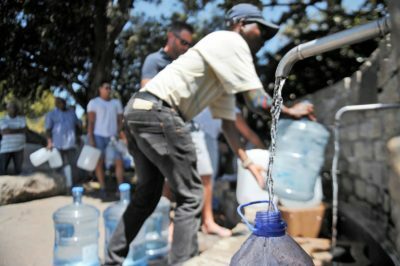 By now, and with “Day Zero” fast approaching, we’re all aware of the severity of the drought in Cape Town. Unfortunately, unless we actually live in the Western Cape, many of us have stopped stressing about water and how we use it. The truth is that this drought affects us all – and it’s only a matter of time before it becomes a much wider spread problem unless, of course, we all start taking the need to save water whenever and wherever we can more seriously! Here are our 3 tips to keep in mind. On average, a washing machine uses 50 litres of water per wash, all of which is lost down the drain before it is even all that dirty. Why not put this greywater to good use around the home by collecting it in a bucket and using it for mopping the floors? You can save up to 15 litres this way! Invest in a broad plastic tub and stand in it while you shower (to ensure that you don’t slip, you might also want to invest in a plastic mat for extra sturdiness). Set the water that you collect aside and turn off the tap that is responsible for filling up the toilet tank after you have flushed it. Pour in the shower water instead and remember to only flush when absolutely necessary. While this probably doesn’t sound very hygienic, desperate times call for desperate measures! You can still save plenty of water if you’re someone who prefers a leisurely soak in the tub over a quick shower. Once you have finished bathing, simply leave the water in and use it to hand-wash your clothing. If you have a particularly soiled load to do, allow the clothes to soak in the water while it is still hot and throw in some stain remover for best results. The secret to saving water is being mindful using it sparingly, but also knowing when to re-use it however you can. Don’t be afraid to get creative – our planet will thank you for it!